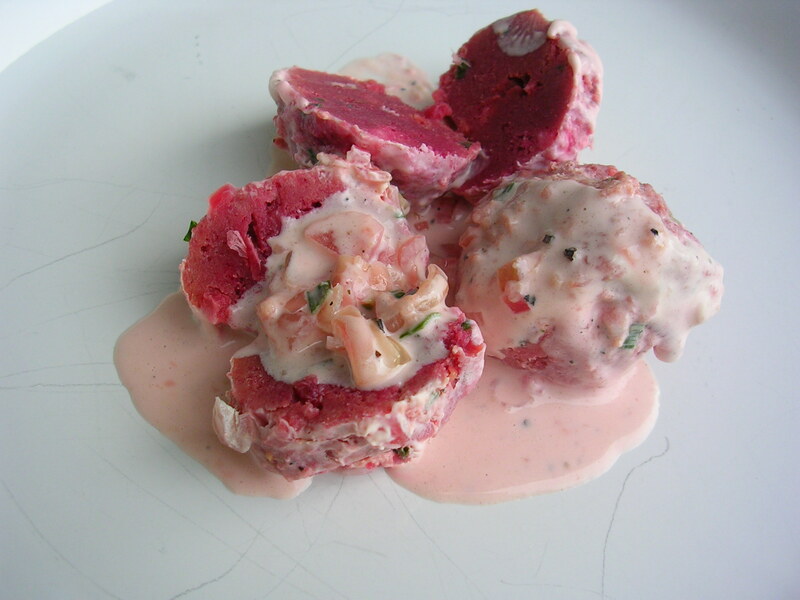 When an old friend of mine from Germany recently visited, he raved about the beet dumplings he and his family had on a vacation in Tyrol and started to prepare at home. Of course I wanted the recipe! First I thought the dumplings were more of a side dish, and I should wait to serve them with some type of roast in the fall or winter. But then I realized they make a very satisfying vegetarian main course, similar to pasta. The original recipe uses chopped parsley but I thought chives would give the dumplings more flavor. For the sauce, I concocted a cream sauce with wine and shallots. 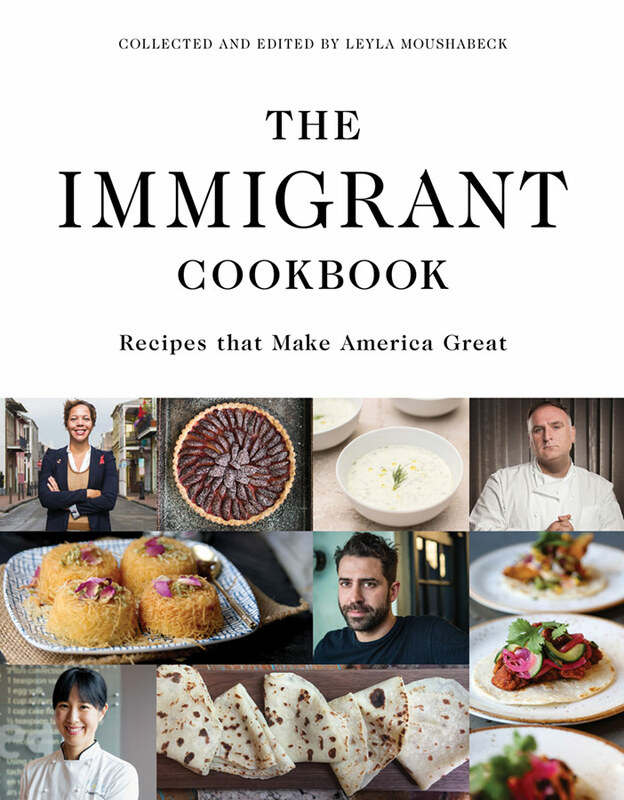 I am thrilled with this discovery in pink and cannot wait to make the dumplings again when the fall crop of beets comes in. 1. For the dumplings, melt the butter in a small skillet and cook the onion until translucent and soft, stirring often. Set aside to cool. 2. 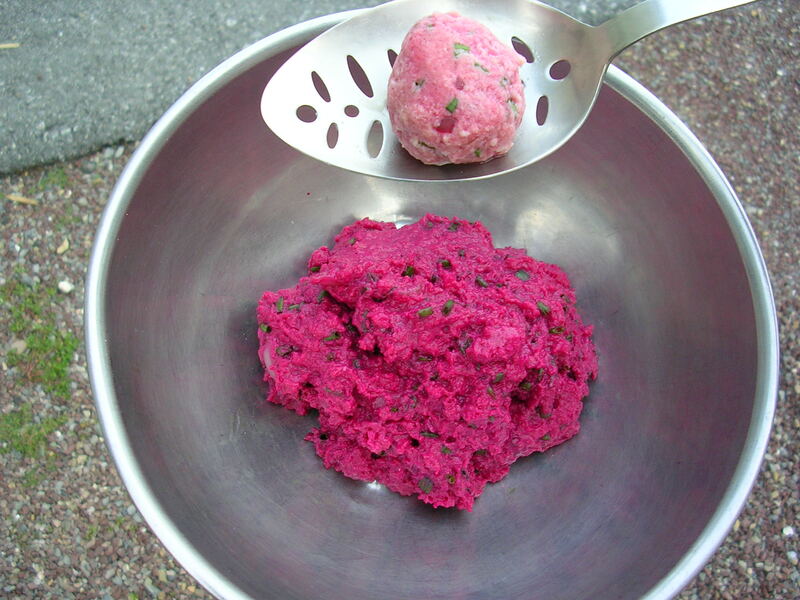 Process the beets with the eggs and the Gorgonzola in the food processor or blender until smooth. 3. Cut the bread in small cubes and place them in a large bowl. Pour the beet mix over them. Add the cooled onion and mix everything until well combined. Add 3 tablespoons flour and mix well. Add the chives and salt to taste. Cover and let stand for 15 to 30 minutes. 4. Bring salted water to a boil in a large pot. Reduce the heat to a mere simmer. Place a thumbnail-size test dumpling in the simmering water. If it holds, the consistency is fine; if it falls apart, add more flour to the mix, one tablespoon at a time. 5. With wet hands shape dumplings of about 1.5 inches in diameter and place them in the simmering water. Do not overcrowd the pot; the dumplings should not touch each other. Simmer until the dumplings float on the surface, about 10 to 15 minutes. When they are done, remove them with a slotted spoon to a warmed serving bowl. Cover with a lid to keep them warm. 6. While the dumplings are simmering, prepare the sauce. Melt the butter in a small saucepan. Add the shallots and cook until soft and translucent, stirring often. Add the wine and increase the heat. Cook until the wine has evaporated almost entirely. 7. Add the cream and reduce the heat. Simmer uncovered until the sauce has thickened, about 10 minutes. Season with salt and pepper. Pour the sauce over the dumplings and serve.